Proporta's Echo: Look at me! I'm hideous! 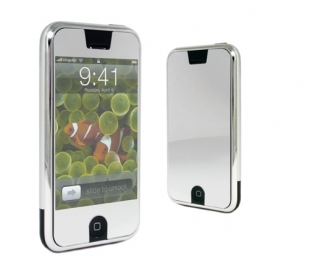 The Echo is a mirrored iPhone, iPod touch and 3G nano screen protector that drops to glossy chrome when the screen is off. The sticker is easy to apply and fairly transluscent. It costs a mere $9.95 and is available now.